FRIDAY, Sept. 29, 2017 (HealthDay News) -- Nearly one-quarter of kidney dialysis patients admitted to the hospital are readmitted within 30 days after discharge, a new study finds. In many cases, the readmissions are for a different problem than the one that led to the first hospitalization, according to the report. 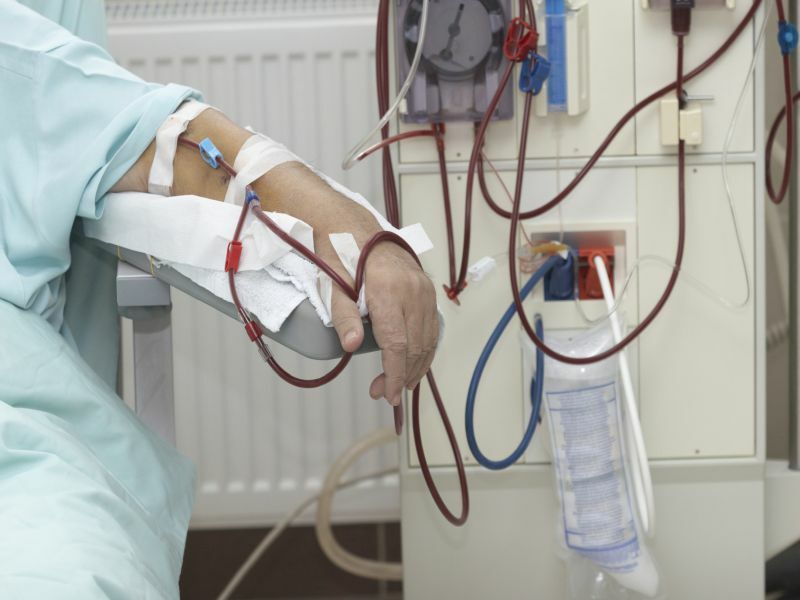 For the study, researchers reviewed data from nearly 391,000 initial hospitalizations of dialysis patients in the United States in 2013. Within 30 days after leaving the hospital, 22 percent of the patients had unplanned readmissions. Only 20 percent of those readmissions were for the same diagnosis as the first admission, the findings showed. Just 2 percent of all patients accounted for 20 percent of all readmissions. Women and younger people were more likely to be readmitted, the researchers found. In addition, people who were depressed, had liver disease, heart failure or who abused drugs were more likely to end up back in the hospital. "To reduce readmissions in dialysis patients, perhaps a good starting place would be to institute interventions targeted at high utilizers and create a validated risk score incorporating likely risk factors," study co-lead author Dr. Girish Nadkarni, of Icahn School of Medicine at Mount Sinai in New York City, said in a news release from the American Society of Nephrology. The study was published online Sept. 28 in the Clinical Journal of the American Society of Nephrology.